The sun is a resource for all to share in common. Ironically, many of the economically poorest parts of the world receive an abundance of the sun’s rays. Check out the Latest News ! Let's Share the Sun: Summer 2015 from Luke Rafferty on Vimeo. Let's Share the Sun: St. Croix Hospital from Luke Rafferty on Vimeo. Let's Share the Sun: Lanterns from Luke Rafferty on Vimeo. 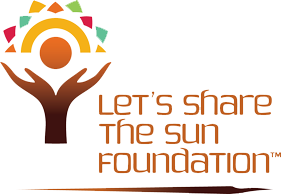 Haiti: Let's Share the Sun Foundation from Luke Rafferty on Vimeo.